We don’t hear such positive stories in healthIT very often!. So, in my excitement, I wanted to share a little of the activity that our Ocean team have been working on in NT. 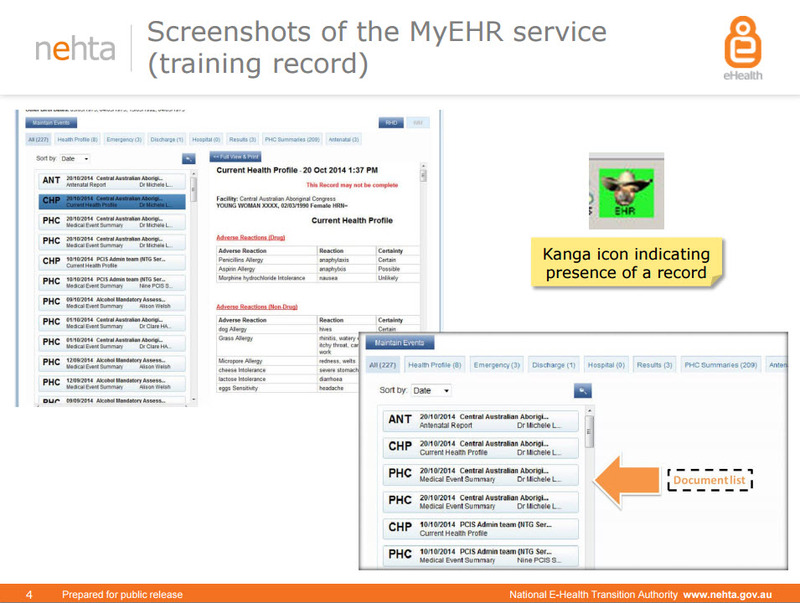 Multiple members of our team of clinical informaticians, solution architects and software engineers have participated in both the evolution of the My eHealth Record service from document to atomised data over the past few years, as well as the M2N project and our involvement continues through various aspects of the iCareNet project. Ocean has supplied our OceanEHR platform that underpins the NT-wide atomised data repository, and supported NT Health with architecture expertise, ehealth consulting and clinical information modelling. While we have had a great partnership between Ocean and NT Health, our contribution has been limited to the technical component. The success of the project as a whole is due to the entire NT team who have demonstrated an amazing vision and commitment to improving health in the territory using IT as a strategic tool. Maybe this post is a little on the advertorial side – I acknowledge that – but the work of my extraordinary colleagues has now been publicly recognised as making a significant difference in the health IT environment and every now and then we should be able to modestly celebrate success. This is me doing a little dance, clapping and cheering!